The Win a trip to Philly Sweepstakes is open only who are 18 years old. The Win a trip to Philly Sweepstakes ends on August 31 at 9:ooPM EST. 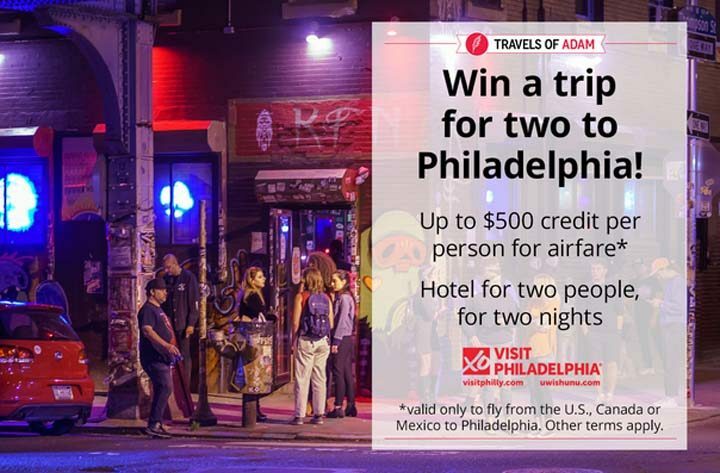 Entrants must visit contest.travelsofadam.com/winphilly to complete the entry form. I love Philly 🙂 Anita Ward.